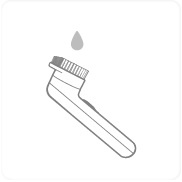 You are currently browsing the archives for the tag 'Dramatically Different Moisturizing Lotion+'. Breast cancer … it’s a scary thought and all too many women assume that it won’t happen to them. Fact is though, every 19 seconds a woman is diagnosed with this terrible disease somewhere on this planet. So, don’t be ignorant, during breast cancer awareness month October go for a medical checkup, it might save your life. Moreover you can shop for a good cause by getting one of the PINK RIBBON 2018 products below. 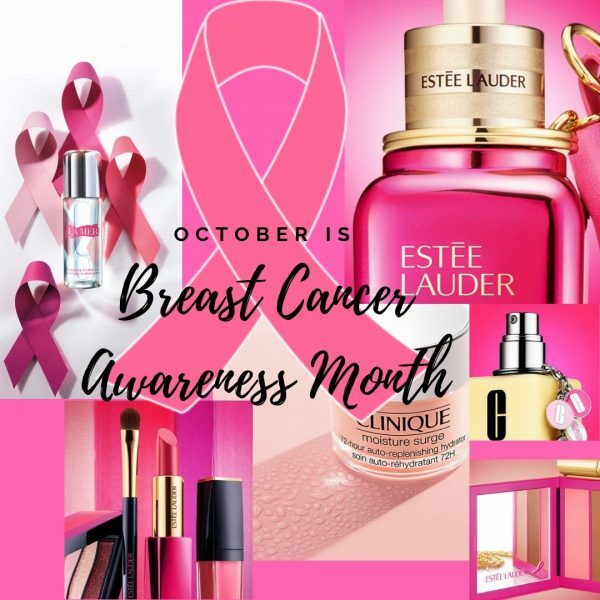 The Estée Lauder Companies’ iconic brands support the mission #TimeToEndBreastCancer to create a breast cancer-free world. In Switzerland they raise funds for the «Look Good Feel Better» foundation that helps people with cancer deal with the appearance side effects of cancer treatment. 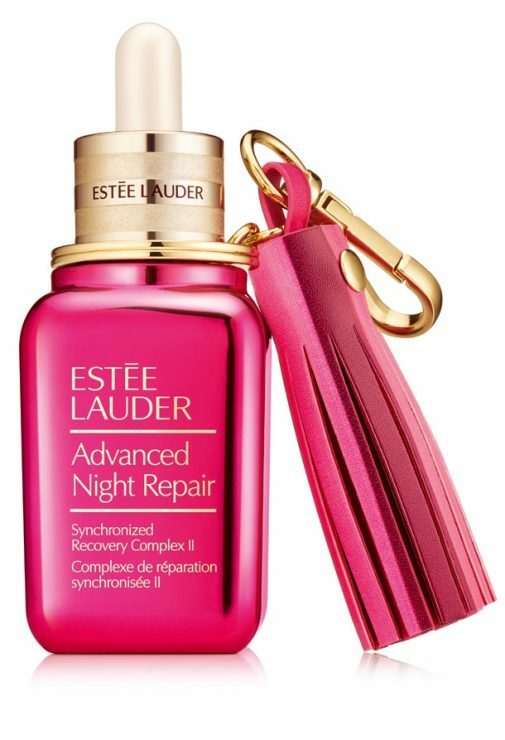 Enjoy the #1 repair serum plus a collectible keychain, honoring and supporting breast cancer awareness. 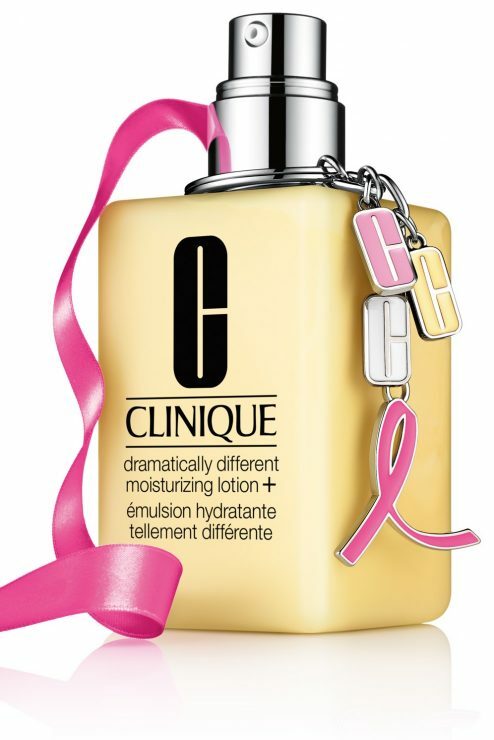 CHF 149.00 (50ml) of which CHF 20.00 will go to charity. 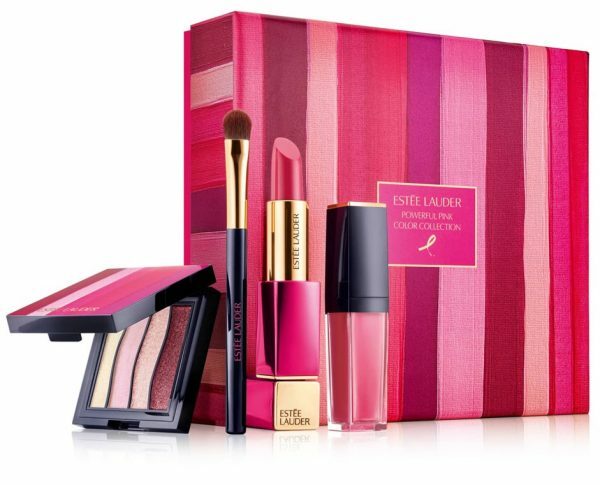 A make-up set with everything you need. CHF 75.00 of which CHF 15.00 will go to charity. 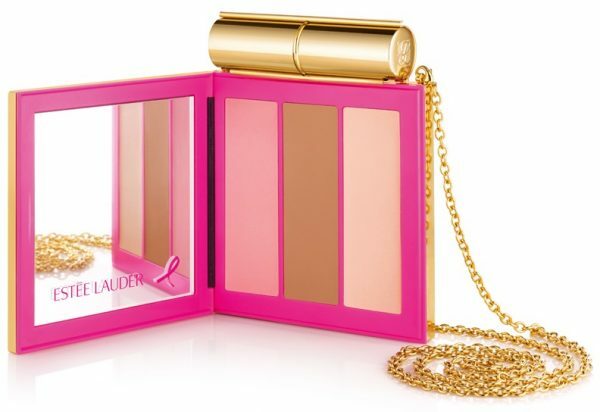 This golden, sophisticated clutch holds a Pure Color Lipstick, plus powerful pink makeup shades to sculpt and glow-on-the-go. 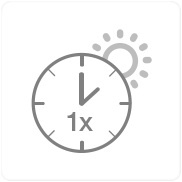 CHF 195.00 of which CHF 30.00 will go to charity. All three available at Estée Lauder counters or online. Think pink with this set featuring two of our iconic, semi-matte lipsticks that deliver comfortable, full-coverage color in a single swipe. CHF 59.00 of which CHF 15.00 will go to charity. 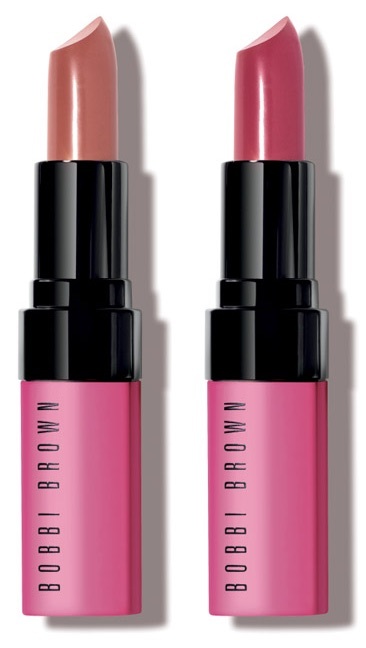 Available at Bobbi Brown counters and online. Limited-edition bottle of the famous yellow lotion in a jumbo size for a great cause. Adorned with a 5-charm key ring including the Pink Ribbon. CHF 89.00 (200ml) of which CHF 17.00 will go to charity. Available at Globus and Jelmoli. 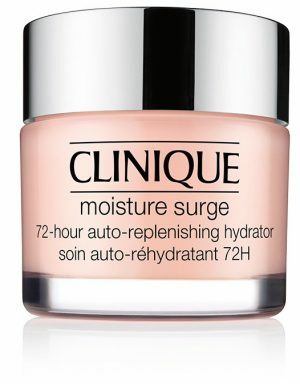 Enjoy 72 hours of non-stop hydration, even after washing your face. CHF 39.00 (50ml) of which CHF 7.00 will go to charity. Available at Manor, Marionnaud, Import and Beauty Alliance. This light, fresh, sea-inspired cleanser sweeps away dirt and micro-emulsifies makeup in one rinseless step. CHF 60.00 (100ml) of which CHF 12.00 will go to charity. 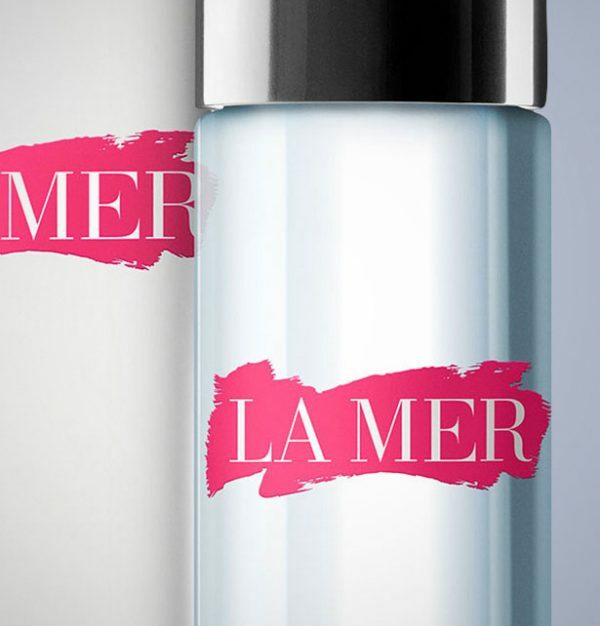 Available at all La Mer counters. Oh, the healthy glow, the purified pores and moisture just sinks in. Sounds to good to be true? 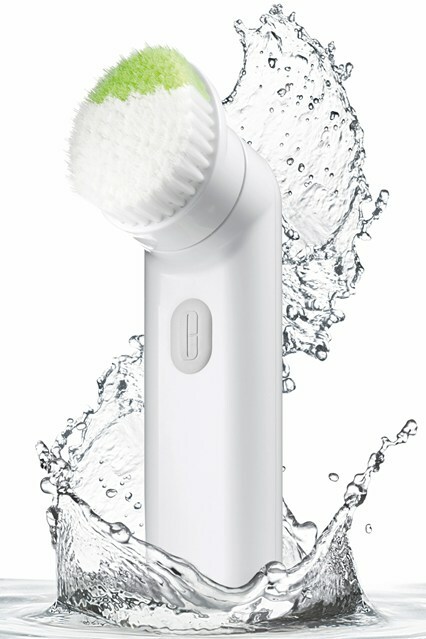 The new CLINIQUE Sonic System Purifying Cleansing Brush is designed to clean even hard-to-reach areas like the T-Zone with two bristle types for customized cleansing. Your skin is left radiant and soft. You might remember from a previous post that I like to use the Clarisonic technology to clean my skin at night. 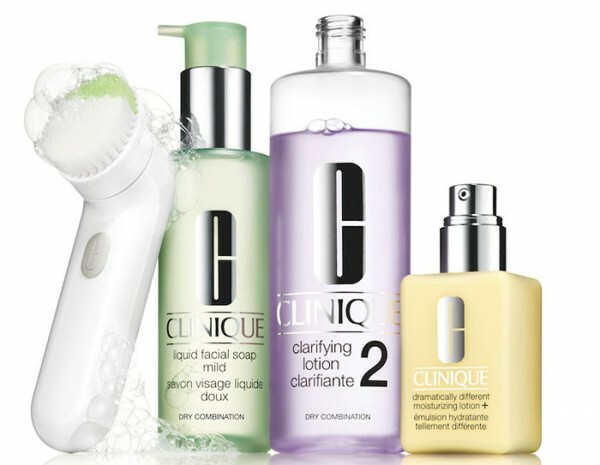 Therefore I was curious to try CLINIQUE‘s first cosmetic device. 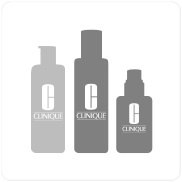 The US brand is known for the most effective products to enhance every skin type and concern. Personally speaking, I prefer the Sonic System Purifying Cleansing Brush as it is so much more gentle to your skin, very light and handy. The angled tip easily targets hard to reach areas. I suggest you begin by using the Cleansing Brush once daily. Remove makeup before use. Apply cleanser to moistened skin or brush head. 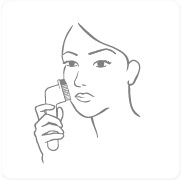 Massage in circular motion for 15 seconds on cheeks using white bristles. No need to apply pressure. Massage in up-and-down motion for 15 seconds combined on T-Zone using green bristles. Rinse and pat dry. Exfoliate and moisturize. Rinse brush head after each use. The new Sonic System Purifying Cleansing Brush will surely revolutionise the way that women cleanse their skin just as its famed 3-step Skin Care System did over 40 years go! The new cosmetic device is in stores now for CHF 149.00 (Refill CHF 25.00). To receive the best results, I also recommend getting the following products: Liquid Facial Soap, Clarifying Lotion 2 and Dramatically Different Moisturizing Lotion+.